It is very difficult at times for the general public to see or even believe that modern sport hunters are not blood thirsty parasites who have no regard for wildlife and conservation. This has never been the case and in fact it is rather the contrary. Modern sport hunters have a deep connection with the outdoors, with wildlife also and wish to perserve it. Hunters may even do more as a whole toward conservation and protection than the majority of the public when it comes to contributing to both these points. Sometimes, hunters themselves aren’t even aware that they are contributing to wildlife management programs and land conservation projects. It can be as simple as purchasing hunting accessories or clothing that have a logo of a conservation organization such as Ducks Unlimited. The purchasing of waterfowl permits including stamps, and also simply by registering your game once it has been harvested. Stamps on a waterfowl permit or purchasing gear allows for some of the funds to support wetland conservation programs. The registration of big game and wild turkey allows for the crucial collection of the numbers of species harvested when dealing with population control programs as well as provides great statistical information in direct support of research. 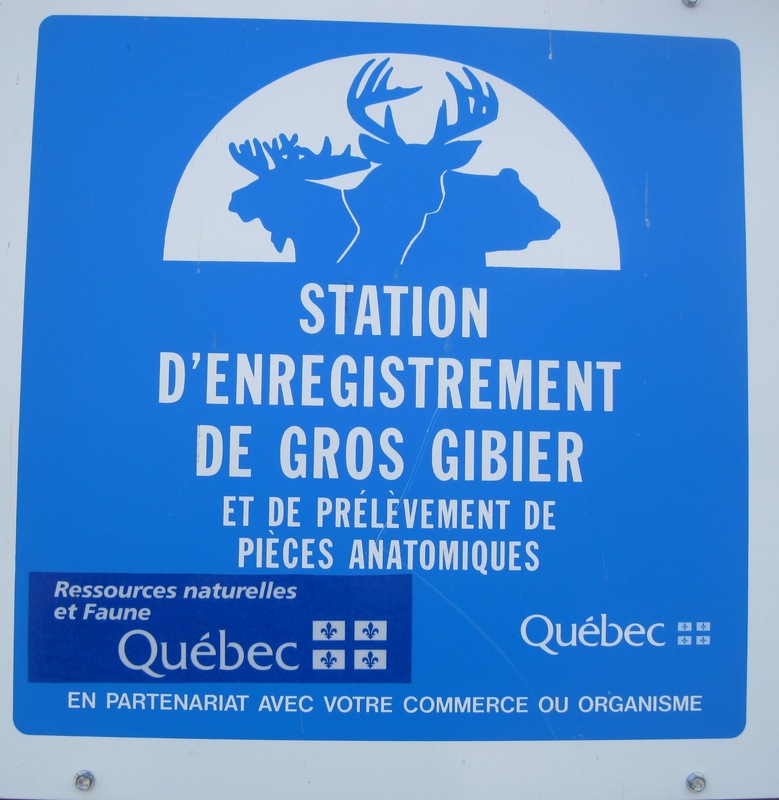 A registration center can be any establishment that is recognized by in Quebec’s case the province, this can be a local hunting shop, provincial building belonging to the Ministry or even a corner store. These registration centers will all have the following panel outside their building. “In order to take advantage of the maximum availability of registration services, the Department recommends registering your game as close as possible to the harvesting site, rather than near your residence. Some registration stations are open during all hunting and trapping seasons. Other stations are open only during hunting seasons and, in this case; the hours of operation may vary. When in doubt, hunters and trappers are invited to contact the registration station to avoid needless travel. In order to find the registration center nearest to you in Quebec go to following website on your portable device or print out the centers located in the area where you will be hunting big game and wild turkey. Then select the region on the link above and then the local municipality, there you will find a list including, the type of organization, their contact telephone number and their hours of operation. The cost of registering big game and turkey is six Canadian dollars. When you register the game, the officer/agent/store owner will visually inspect the animal or turkey, transportation tags; record the date and time as well as a location using GPS software where it was harvested. He or she will record the type of weapon that was used. You may also have the animal or turkey weighed. After the inspection, an electronic form will have been filled out and you will receive a printed receipt.